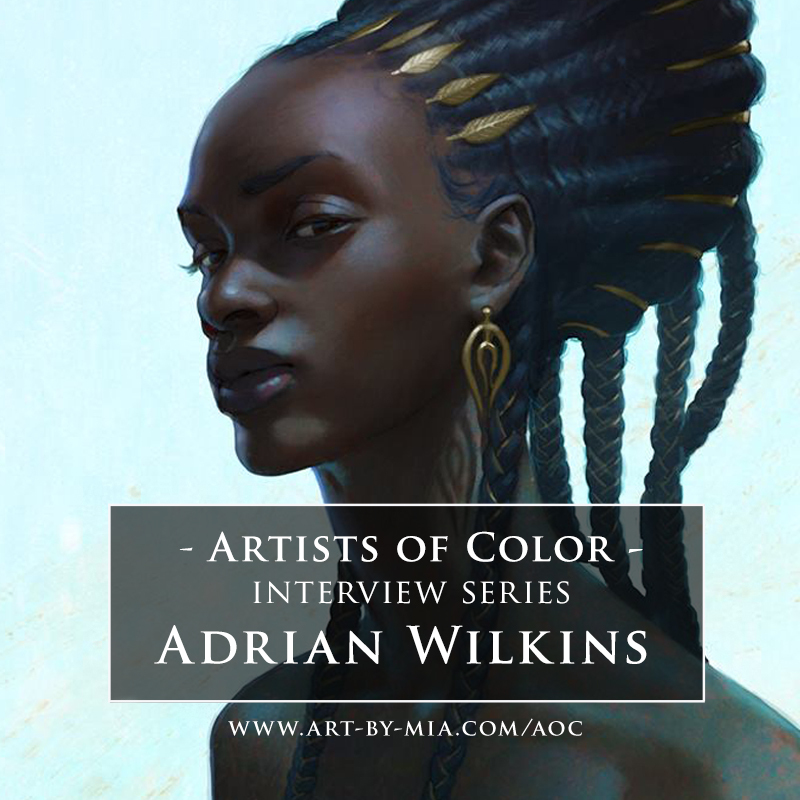 Welcome back to the Artists of Color interview series! This week I am speaking with Berlin-based concept artist and illustrator Adrian Wilkins. I first discovered his work via mutual friends on facebook, and was floored by his stunning characters, his beautiful use of lighting, and exquisite drawing ability. It's an honor to have him, and I hope you enjoy reading about his journey as much as I did. 1). Tell us about yourself! What is your background, and how would you describe your work? My name is Adrian Wilkins. I was born and raised in Jamaica until the age of six before I moved to Germany with my mom and my younger brother. 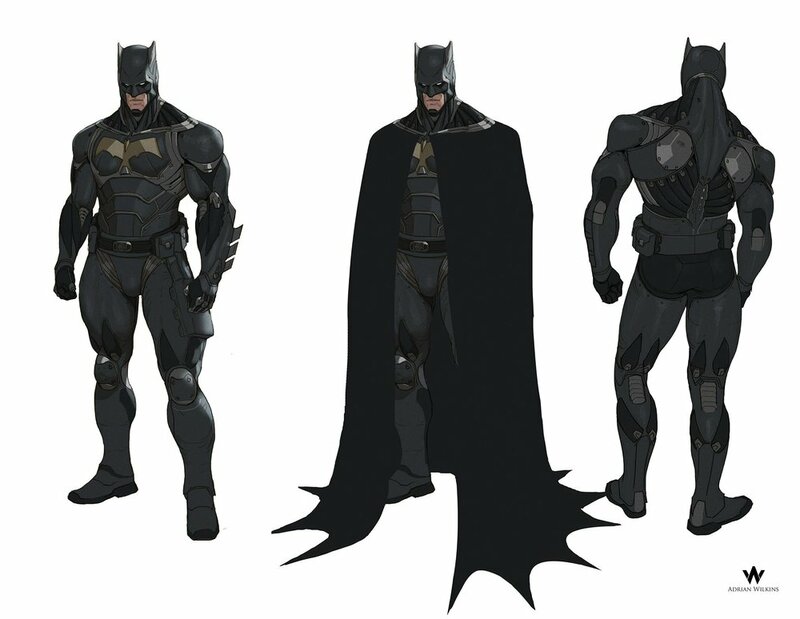 My style was and still is quite concept art focused, since I was heavily influenced by people working in the industry. Nowadays I'm trying to be a bit more playful while keeping the tightness that I've learned from being a concept artist over the years. 2). When did you first fall in love with art, and realize that you wanted to pursue it as a career? Did your parents approve or disapprove? I roughly remember my father drawing when I was 5-6 years old and wanting to do the same thing. Back then I didn't know what I wanted to do, but I've been sketching and doodling ever since. Like most kids, I started doing drawings of my favourite cartoons like Thunder Cats, Ninja Turtles, Swat Cats and Dragon Ball. As I got older, art became more important to me, but the art education I was looking for wasn't really available. I figured architecture might be the closest thing, but quickly realized it wasn't for me after doing an internship. Around that time, I stumbled upon conceptart.org and things took off from there. My mother didn't really understand what I was doing, and the only experience she had was my father, who didn't actually make a living off of art. She would always say, "we didn't come to Germany so you can throw your life away drawing all day." Later, when I actually made money, she understood that this was a viable career path. 3). Are you self-taught, or did you go to art school? How important was this training to becoming a professional artist? Yes, I'm self-taught. Not for lack of trying to find an art school that fit my needs though. Conceptart.org helped me immensely. Although I didn't have a mentor, I could see what the standards were and what it took to get to that level. After that, the grind was real. I spent 2-3 years with my nose to the grind stone until I finally got my first freelance gig before finishing high school. 4). I absolutely love your portrait series featuring traditional African hairstyles. Can you share your thoughts and inspiration behind this series? Thank you! The idea behind it was born out of the media I consumed around me. I started drawing people of color relatively late for someone who was drawing his whole life and was black himself, I think I was between 18-20. Before that, I didn't see too many people that looked like me. So subconsciously I didn't believe that people would take interest in that. As I've gotten older I was somewhat irritated by the fact that the representation that the industry does have only shows the same limited range of black people. They are either thugs, poor, side-kicks, or tribalistic and we also only see the same hairstyle. Afro, cornrows, locks, bald, and if you're lucky the fresh prince high top fade from the 90s. Yes, these are things, but there are so many African folklore, myths, cultural hairstyles and clothing dating back hundreds of years that haven't been explored, especially in the realm of science-fiction and fantasy. I felt the need to show people that there is more out there that can be taken into consideration when it comes to designing people of color. For example, we haven't explored the ancient kingdom of Aksum in Ethiopia or the empire of Mali, the nomadic Tuareg, who next to the Inuit, managed to figure out how to survive in the harshest conditions of the Sahara. I'm not asking for 50% representation, but the representation that does happen should be more thorough in its research, instead of relying on the same handful of tropes over and over again. With that in mind, I just started drawing these portraits with a bit of description so it hopefully doesn't just look nice, but also helps to inform the viewer that it's not just made up. These are and were actual things. 5). What is a major obstacle that you have faced in pursuit of your art career? How did you overcome this, or is it something that you still struggle with? The grind in the first few years. Living in a village, I wasn't surrounded by like-minded people at all after I started doing drawing seriously. The more I got into it and realized that my mother couldn't support us once we were done with school, reality hit me hard and the only thing I was concerned with was becoming good before we ran out of money. 6). Does representation matter in art? Yes it does, and it starts early. This reminds me of one time when I asked for the skin colored crayon in school, and one child gave me both brown and pink without even thinking. He was the first to do so. I don't think he noticed what it meant to me or even remembers, but that moment stuck with me until this day. I don't think that equal outcome (meaning 50% people of color in movies and games) is necessary or even plausible (unless we are talking about mono-cultures within less globalized countries or a fantasy setting), but well written, culturally well-researched and integrated characters are of absolute importance. And the industry has recently proven that it works. Doesn't matter if it's a classic franchise like Star Wars or a completely new addition to the Marvel Cinematic Universe like Black Panther. Putting my personal opinions of the movies aside, I just loved the fact that the people spoke with their wallets, breaking records despite long held industry beliefs. 7). If you could communicate one thing to artists about representing a background or experience that isn’t their own, what would it be? A well-written, deep character that is relatable across the board regardless of color is the most important thing. If a kid in China can shed tears as well as a girl in Africa, or from the States, you've most likely got a well-rounded character. But other than that, research and asking friends of color who are close to you for their opinion. But also understand that they as an individual don't hold authority over what it means to represent something correctly. No one really does. This will sound cheesy, but as long as your intentions are true and there is a deep interest in the people you are representing, it will shine through. 8). Do you have a favorite character of color (from film, television, literature, comics, or any piece of art)? No, not really. Not in fiction at least. But I admire people who are activists or in politics, which I'd rather not go into since it's quite the heated topic nowadays. 9). Who is the most underrated creator of color you wish everyone knew about? I'd say Donald Glover aka Childish Gambino, but everyone knows him since Atlanta. Donald Glover aka Childish Gambino. 10). What piece of advice would you give to young aspiring artists of color? If no one is telling your story, you tell it. If you're a good writer or artist, people will like it. 11). Any current projects you can talk about? What is your ultimate dream project that you canʼt wait to work on, or be a part of someday? Nothing I can really talk about, unfortunately. Other than that, I'm cooking up my own thing. Just a bit slower than expected, due to work. Thank you so much, Adrian, for sharing your story and your stunning art! And thank you, readers, for joining us for this interview series. If Adrian's answers resonated with you, please comment and share his interview far and wide!